Another 26 wins & 52 nominations. A must see for animation fans! Stunningly beautiful. This is a breathtaking masterpiece of art that allows your mind and heart to soar like the wind .The story is loosely based on the real life story of Jiro Horikoshi (Joseph Gordon- Levitt). He dreams of flying but, because he's nearsighted, decides to be a Japanese airplane designer. We observe his life from child to adulthood as he makes his dream plane and, in the process, falls in love with Naoko (Emily Blunt). Will Jiro create the beautiful plane or realize that the beauty he's seeking is right in front of him all along? The film is a work of art. Hayao Miyazaki (Director and Writer) creates unique color palettes and designs. Since the movie takes place in the sky, the animators go above and beyond to hand draw backgrounds and movements for the planes. We witness them majestically soaring through the skies and you feel as if you're with them. The voice acting is well done. I think they portrayed the characters and their relationships exceptionally well. Much of the film focuses on the romance between Naoko and Jiro. Their connection is both loving and tragic. The film was first released in Japan, so American voice-overs are dubbed over the animation and yes, it can be distracting. They confront actual events that happened in Japan, such as the Kanto earth-quake of 1923 and Japan entering the war. I love the truth in this film. It doesn't shy away from talking about the real issues that happened during this time. My favorite character is Mr.Caproni (Stanley Tucci) a historical Italian aircraft designer who is Jiro's mentor in his dreams. I enjoy Stanley's voice acting skills. 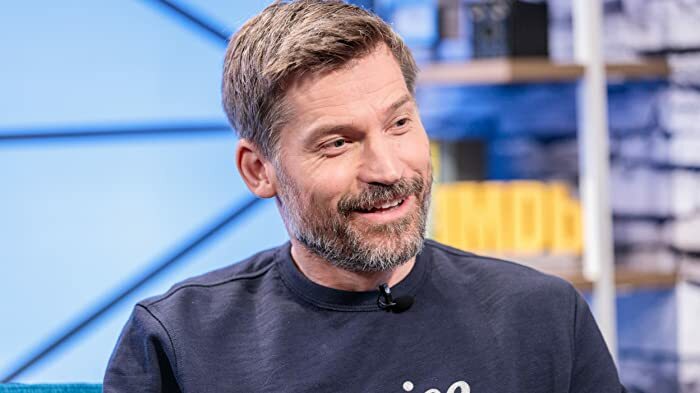 He's one of those character actors who is fantastic at everything he does. The character himself is fascinating. He looks at aircraft not as a bringer of war, but a creator of dreams. My favorite scene is the last dream sequence, after Jiro goes through a life changing experience. This is one of those bitter sweet endings, where you don't know what to think at first. You just need to take it all in. The message in this film is, "Sometimes the outcome to your dream is not always what you expect." 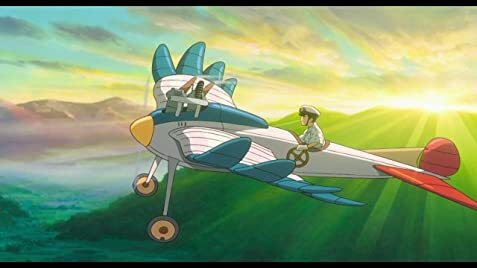 Jiro spends his whole life wanting to make his aircraft, determined to do anything to fulfill his goal. After a few sacrifices, he realizes his potential but it's not what he expects. Mr. Caproni then asks him, "Did you have a good ten years?" I give this 5 out of 5 stars and recommend it to 11 to 18-year-olds. This film shows people smoking and deals with serious issues of the time. This is a must see film! Reviewed by Keefer B, KIDS FIRST Film Critic. For more youth reviews go to kidsfirst.org. Many have speculated that the character of Castorp was inspired by the real life of Soviet spy Richard Sorge. Caproni: Bravo! A beautiful dream. After Jiro tells Nahoko that he's finished designing his plane, he falls asleep. Nahoko removes his glasses and places them on the floor behind their heads. In the next shot, from behind their heads, there are no glasses on the floor.